Save Space - The tankless gas water heater takes up only 2.2 cubic feet of space, which allows for installation in spaces with limited area or in locations closer to the point of use. This results in less travel-time through pipes, which means less energy is wasted. Save Money - No storage tank to clog with deposits and rust. No pilot light to waste gas. Computer-controlled burners use only the gas required according to demand, which significantly increases efficiency. 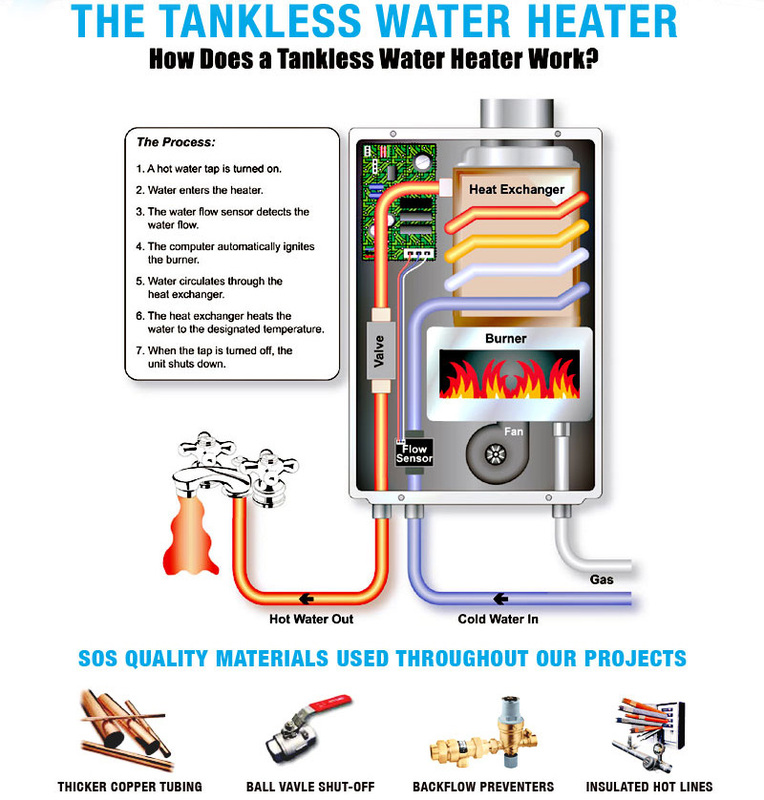 Giant Flexibility - Capable of handling water flows ranging from .6 to 6.9, with heating capability of 19,000 to 185,000 btu, the Tankless water Heater has the widest range on the market, all controlled by a computer board and sensors checking for flow, temperature and demand. Save Energy - Water is only heated as it is used, without need for a holding tank to waste energy. 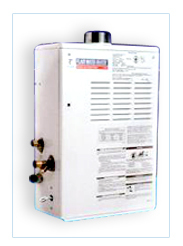 Computer controlled electronic ignition allows the Tankless Water Heater to operate without a pilot light and save up to 50% off utility cost. Peace of Mind - Safety is constantly monitored internally with an advanced system of circuits and sensors checking for over or under-heating, freeze conditions, gas levels, water levels, even air and venting conditions are monitored.